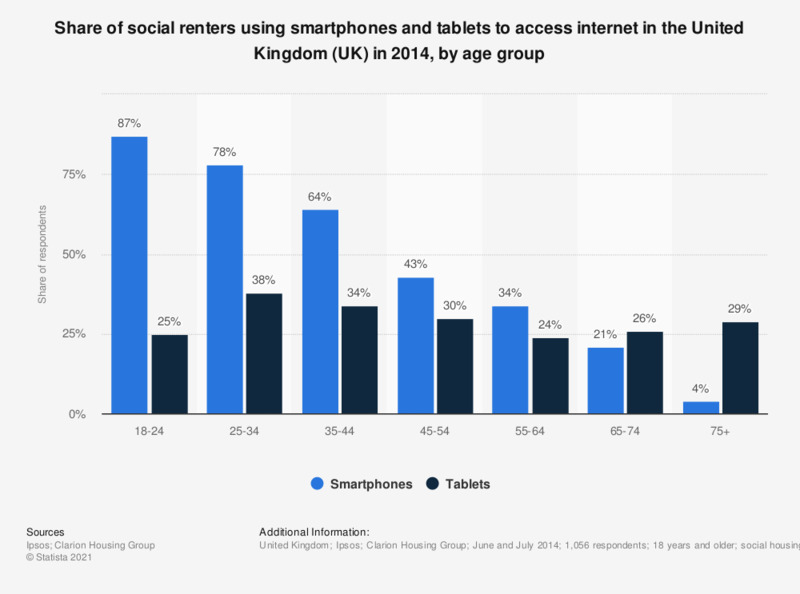 This statistic shows the distribution of social renters use of smartphones and tablets for accessing internet in the United Kingdom (UK) as of 2014, broken down by age groups. Young people were significantly more likely to access the web with smartphones: 87 percent of people aged 18 to 24 used smartphones, compared to 25 percent using tablets. Affinity Sutton study of over a thousand residents in their social housing estates, distributed throughout the country.